A domain may be defined as a sphere or realm that covers a broad but specified area of black experience and also provides a category for sermonic reflection, creation, and organization. Personal Piety – This is the domain that emphasizes “heart religion.” LaRue notes that this is connected to a personal relationship with Jesus Christ as well as the importance of the new birth. We owe this to the 19th century revivalism that is at the root of much of the evangelical churches of today. Care of the Soul – This domain is directly related to the “well-being” of individuals. It takes part in all of the traditional pastoral concerns of “healing, sustaining, guiding, and reconciling of persons as they face the changes and challenges of common human experiences, experiences that are exacerbated in black life through systemic and capricious discrimination and prejudice. Social Justice – This deals with “(m)atters pertaining to racism, sexism, ageism, and other forms of discrimination.” (21) Traditionally the best of the Black Preaching Tradition has always spent some time in this domain. Maintenance of the Institutional Church – Here we see “…teachings of faith with respect to discipleship, missions, evangelism, Christian education, benevolence, and so forth…” (25). When one preaches in all of these domains one is sure to address the full counsel of God which includes not just individualistic piety, as important as that is, but also corporate concerns. 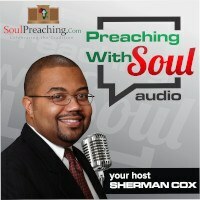 I think that many preachers attempt to preach in the Black Preaching Tradition by emphasizing Care of the Soul and/or Personal Piety, but leave it at that. However, if God is active in all of human experience then we must expect that our sermons will name God into the world in all of our experiences. 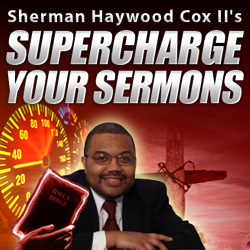 I am beginning to look at my own sermons and see what I am emphasizing and what I am leaving out. What areas of human experience do I preach that God is not active in by my neglecting to preach God’s involvement in it? I am thankful to LaRue for providing this tool and would suggest all preachers make use of it by purchasing the important work as well as apply it to ones own preaching.